If you can make a texture just pm me the png of it (they must be 16x16) and I'll give you credit as a contributor! I decided that I wanted to make a don't starve mod for minecraft. Basically it will be adding a lot of the features that don't starve has into minecraft, although I do realize minecraft is already similar to don't starve in many ways. Rabbit runs from player, goes to hole at night, leaves hole in morning, hole texture and rabbit model/texture! I can code fairly well and I'd like to do all the coding myself, but I will most definately need help with the models. If anyone wants to make a model for any of the animals/monsters in don't starve, go ahead and make it, and then pm me it with a link to download the code for it and the texture (it'd be easiest to just put this all in a zipped folder). Also if you can make textures for any of the don't starve items, send me those! I will give everyone credit for whatever models they make! I might end up passing this mod off to someone else if I don't have enough time, but I'm going to do my best to keep up with it. It will use minecraft forge and be smp compatible. If there is anything you really want to see implemented, just leave a comment! I'll put up download links as soon as I have a decent amount of content to show! I do realize there is another group planning to make a don't starve mod, but they don't seem to have any available content either, so we'll see how this goes. Did I help you? press the green arrow! Keep going, man. It... sounds promising. This is a really good idea, and noone has replied yet, so I'm just telling you that there are heaps of people that want to see this done! Added a video showing my progress on the rabbit! If he does a lets play on this I will be really happy, I plan to finish it!Updated main post to show more progress! Made a rabbit model and texture, and got a block texture! I can model lots if you want, do you have a skype? We would need to have a better way to contact. 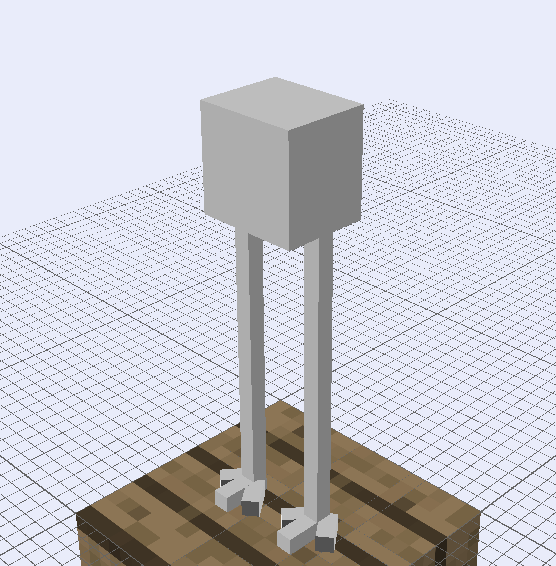 can you make minecraft models? ?I need people to make textures!! read the main post! This is a project that I'd love to be a part of. Need any coders? depends, how much experience do you have with coding AI's? If this mod gets finished then it looks like it will be very fun. Please continue work on this mod. I could have easily done that myself, I'm not because of copyright issues and it doesn't look good. I have created the tall black bird from don't starve. Looks good! Could you add a download for the actual techne file too though? Saw your post. Loved it. I went ahead and did a trap texture! hope you like it! Link just drag it onto the desktop and rename i to whatever you need.